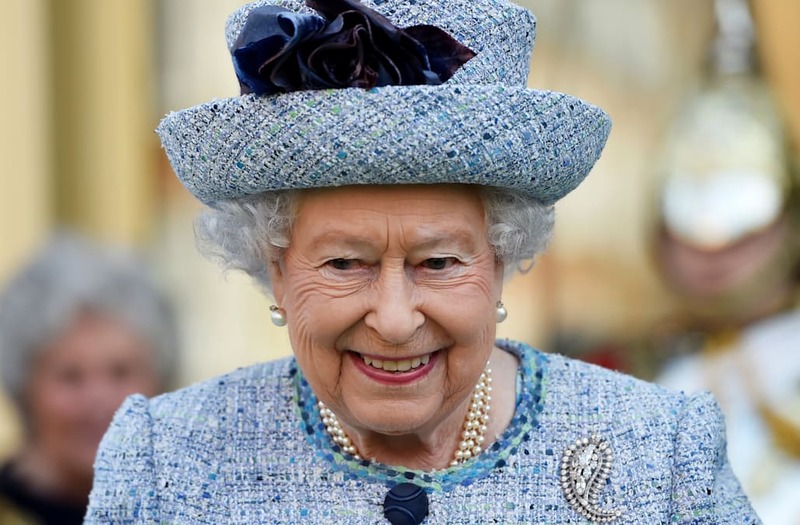 It's a very special day in the United Kingdom — Queen Elizabeth II's birthday! The monarch turned 91 Friday, and in honor of the occasion, Buckingham Palace tweeted out a series of throwback photos, including a baby photo of the queen herself. "Queen Elizabeth II pictured at just one month old at her christening – 91 years ago," The Royal Family wrote on Twitter. In the black-and-white photo, the royal is just one-month-old and is being held by her parents, Queen Elizabeth and King George VI, at her christening in May 1926. The palace also shared some additional pictures taken of the monarch throughout her reign, including one of her making a phone call, one of her greeting service members and a 1952 photo of her and the Prince of Wales. Also to celebrate the day, a troop of the Royal Horse Artillery rode horse-and-gun carriages past Buckingham Palace Friday and conducted a 41-gun salute in Hyde Park in the queen's honor. She was also celebrated with a 62-gun salute at the Tower of London.